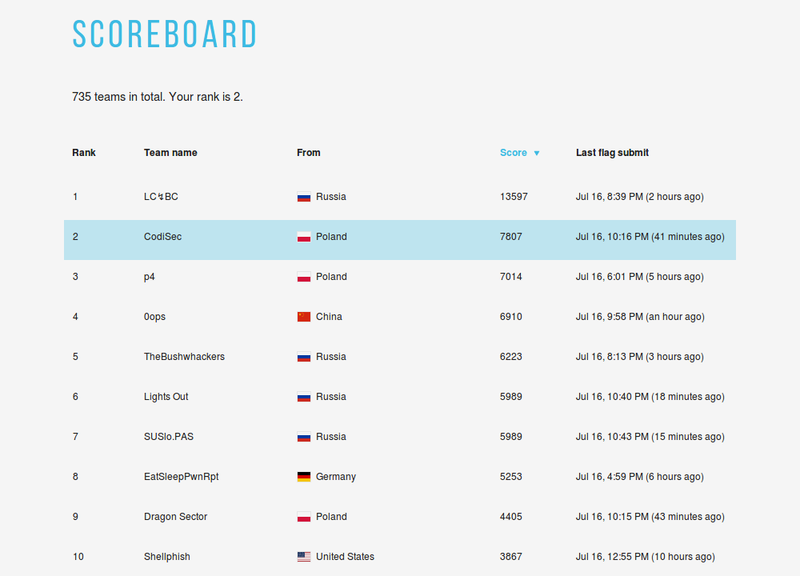 CodiSec had been planning its trip to Japan ever since we successfully qualified for the CTF competition in Tokyo, but we don’t plan to take a moment’s rest from there, not with the next step of our journey bringing us to Moscow. The Silver medal we took last weekend qualified us for the next important tournament, the finals of Russia’s CTFZone, organized by BIZone. The final showdown will be in an Attack-Defense format, and is to take place in November at the ZERONIGHTS 2017 conference. It looks like Codisec’s autumn is shaping up to be full of travels and CTF battles! Congratulations to p4 and Dragon Sector, who also qualified!